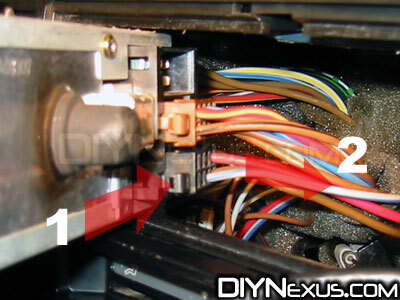 This is a general overview of how to remove the factory radio in a MK2. There were a few different types of radios used over the years, so the pictures may not match exactly. 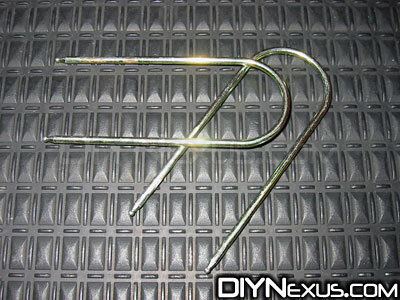 1) A pair of universal DIN removal tools. 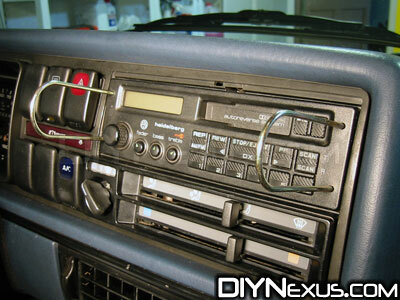 In a pinch, you can get away with a couple properly-sized nails, a piece of cut and bent wire, a cut/bent coat hanger, etc..
1) If your radio has a trim bezel, go ahead and remove it. Typically, it will come off easily if you pull straight out. Once out, this exposes the two holes on the left and two holes on the right side of the radio. You need access to these for the next step. 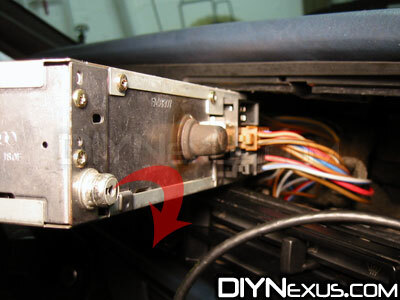 2) Carefully insert the DIN tools into the holes in the radio. Only insert them in about 3/4 of an inch. If you go too far, it will bind everything up. Not enough, and you won’t disengage the locking clips. 3) This picture details the latching mechanism, once outside of the dash. Look it over so you understand what is happening when you insert the tools. Once they are in correctly, just pull the radio straight out. (Sometimes it helps to put your fingers in the tape slot to get a little more leverage) Don’t slide it out further than about 6 inches because there are still wires attached in the back. We’ll get to them in the next step. 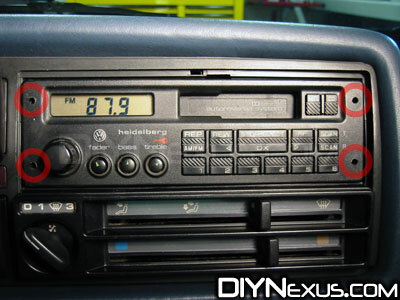 4) Now that you have the radio loose, go ahead and pull one side out far enough to look behind it. I like to do the right side first. In this pic, you can see that the right side is where the antenna is plugged in. Simply remove the antenna from the back of the radio and let it hang down. 5) Lastly, we need to unplug the speaker and main wiring harnesses from the radio. In order to do this, you’ll need to press in the clip to unlock the plug, then pull the plug straight out of the back of the radio. 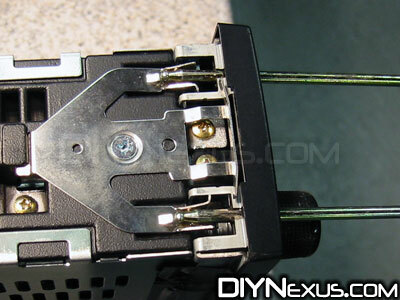 Do this for each of the plugs and you’ll have the radio completely removed!